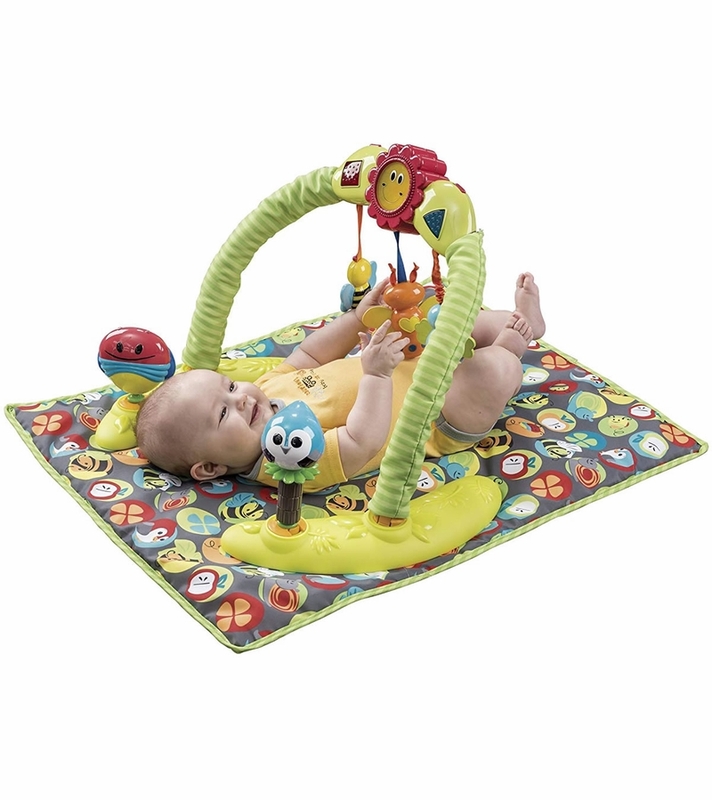 This Double-Fun ExerSaucer includes an infant tummy-time playmat, and an activity center to encourage mental and physical development. 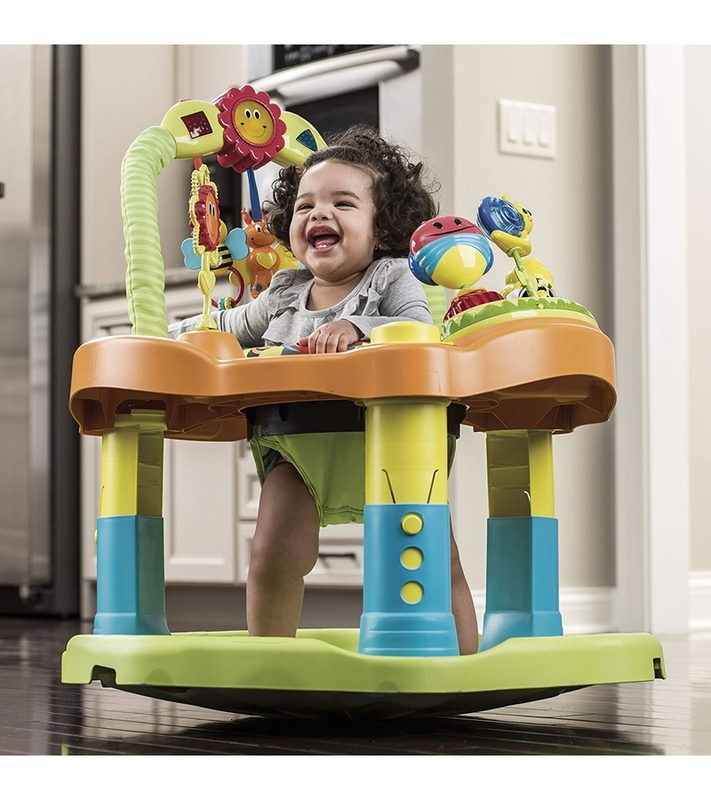 The American Academy of Pediatrics recommends parents provide a safe, nurturing, and minimally-structured play environment for their infants*. 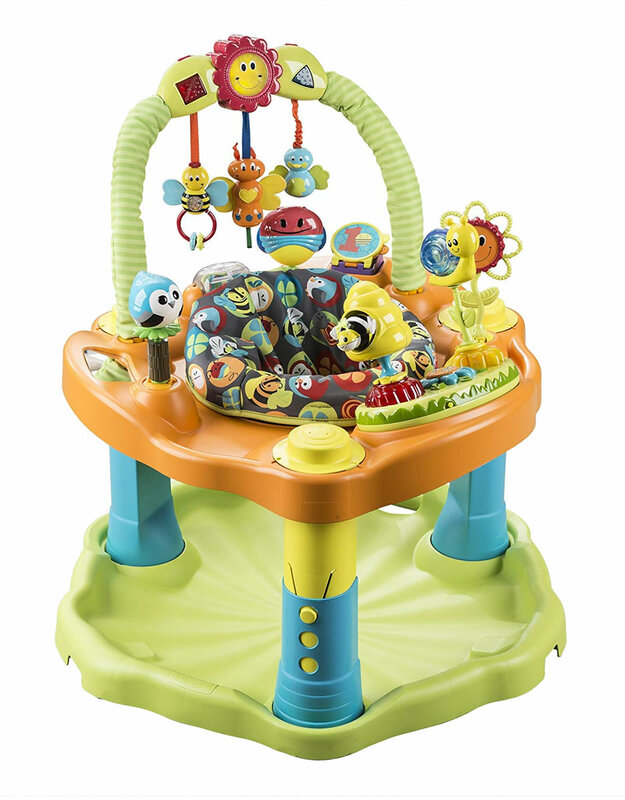 The Bumbly ExerSaucer is just that! 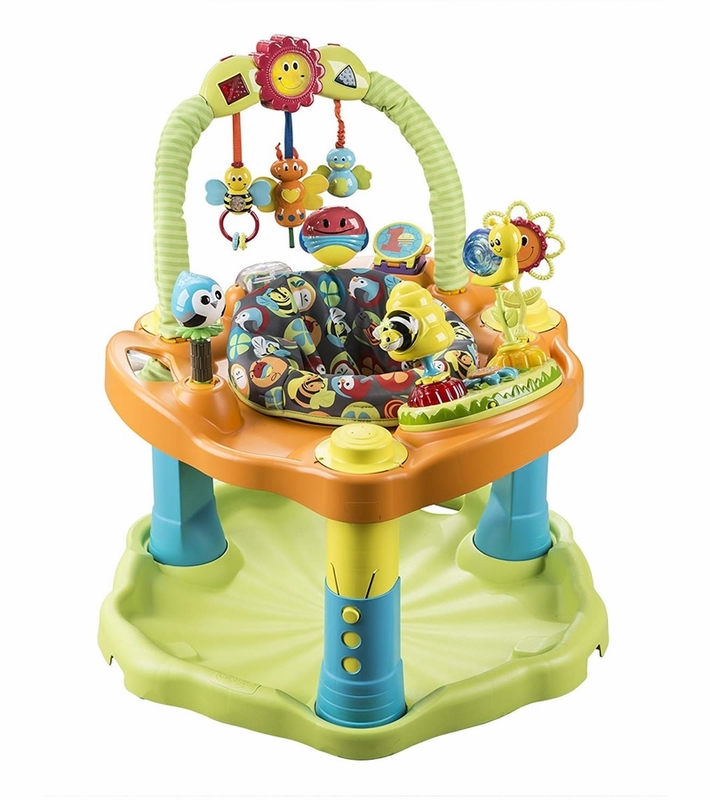 With 20+ activities that include lights, sounds, and fun toys, the Bumbly ExerSaucer engages your baby's senses, sparks their imagination and encourages interaction. 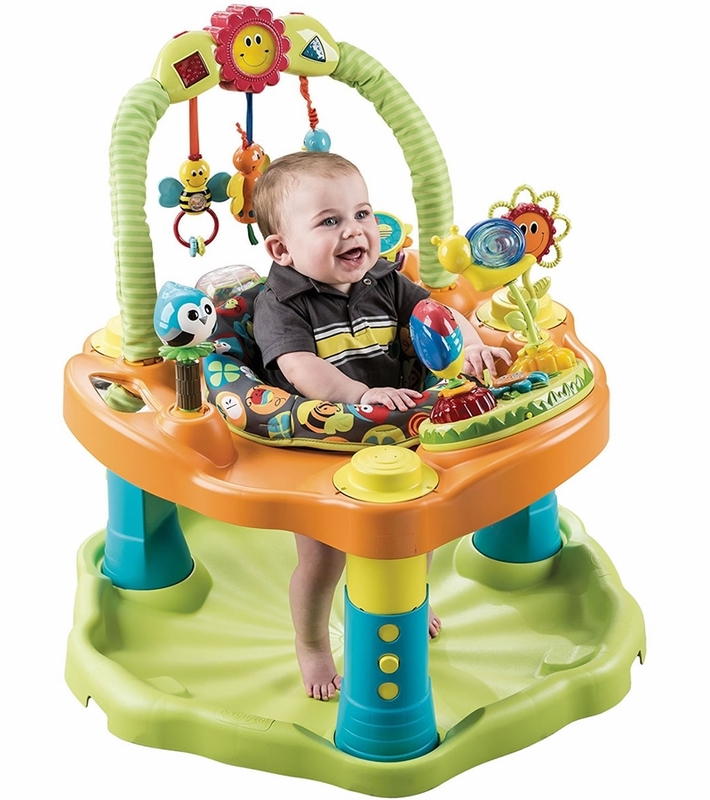 For over twenty years, ExerSaucer activity centers have helped children develop their gross motor skills, fine motor skills, object exploration, cause/effect learning, self-awareness, tactile development, visual development, object permanence and hand-eye coordination. Give your baby an ExersAwesome head start. STAGE 1: Maturity: To avoid possible entanglement or strangulation, remove toy bar when baby begins to push up on hands and knees. My daughter love this! She is 10 months old and has been using it for 6 months. It was easy to put together and easy to clean. It is also easy to take apart for travel, which I have done a few times. I would definitely recommend this product to other parents. Lots to do, kid loves it! Received this as a gift and it has been great except for one thing.....two of the hanging toys, which are meant to be pulled on in order to play songs, have detached and there is no way I can see to fix them on my own. I called Evenflo and they resolved the issue quickly. I did not think it was difficult to put together as the other reviewer says.